Early Mossy Grove sites contain Tchefuncte amd Marksville pottery similar if not identical to that found to the west in southern Louisiana. These are the earliest pottery styles known in southeast Texas. The identified areas and sites are (1) Ponchartrain area, (2) Lafayette area, (3) Marksville, (4) Russell Landing, (5) Coral Snake, (6) Resch, (7) Jonas Short, and (8) Galveston Bay area. 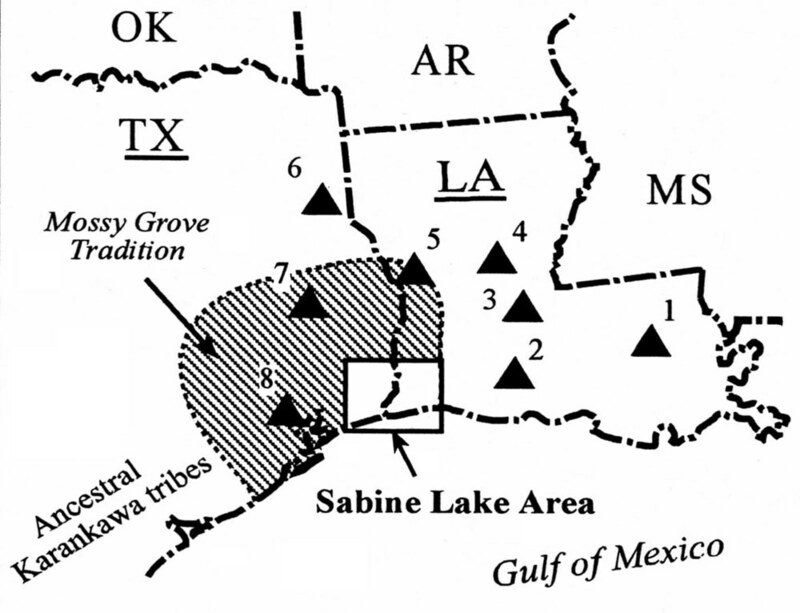 Adapted from a 2007 study by Aten and Bollich focusing on the Early Ceramic period in the Sabine Lake Area.